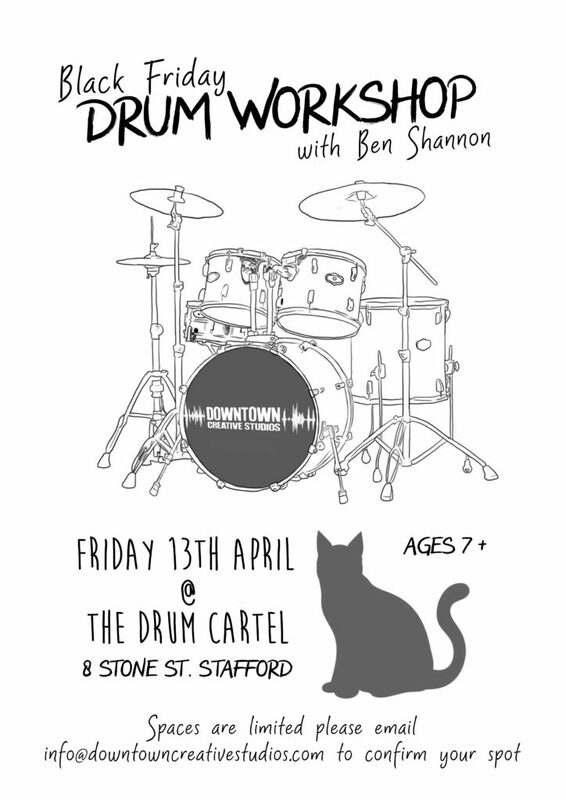 This workshop will be hosted by our fantastic Drum Teacher Ben Shannon. This workshop is a fantastic opportunity to get ahead on all things “DRUMS”. Benjamin Shannon is making a serious indent into the Australian music scene as a percussionist, educator and composer. Hailing from Maroochydore on the Sunshine Coast, Ben began lessons under the guidance of Luke Williams (Dead Letter Circus) at age 10. Throughout his early teenage years Ben began performing in a multitude of styles with local groups; Sunshine Brass and South Brisbane Federal Brass Band were the impetus for Ben’s early musical development and spearheaded his progression. Ben played in various original projects from a young age, varying from indie rock, classical, funk and brass band, all through to heavy metal. Ben has studied with world renowned percussionists Dave Elitch, (The Mars Volta, Justin Timberlake, The 1975) Jeff Friedl, (A Perfect Circle, Puscifer) Tim Firth, Andrew Gander, Simon Barker, John Parker and Paul Hudson just to name a few. Ben’s approach to music is a holistic process that is clearly representative of everything he stands for. He wishes to share his musical aspirations with the world throughout his journey.